The mission of the Towaliga Accountability Courts is determined to reduce the rates of substance abuse and drug related criminal activity by providing intensive supervision, substance abuse treatment, judicial guidance, and case management services for individual's dependent on alcohol and/or addictive substances and may have co-occurring disorders. Judge Fears is a native of Butts County, Georgia, and practiced law in Jackson from 1985 until 2003. On September 2, 2003, Governor Sonny Perdue appointed Judge Fears to the Superior Court Bench in the Towaliga Judicial Circuit. Judge Fears has an extensive background in trial work including both civil and criminal jury trials, and has experience in governmental law. Judge Fears is the former Vice President of the Towaliga Bar Association and was a past President of the previous Flint Bar Association. 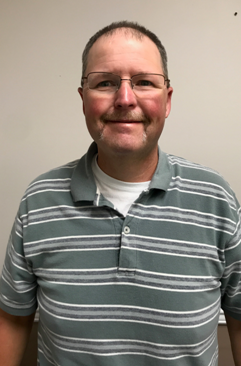 Judge Fears is an active member of the community and volunteers his time for various civic activities including the Butts County Recreation Department. Judge Fears is currently a member of the Butts County Rotary Club and is a member of the Daughtry Foundation Board of Trustees. Judge Fears is also an active member and former Deacon of the First Baptist Church in Jackson. Judge Fears is married to the former Joyce Lewis, a native of Jackson, Georgia. Joyce works as a pharmacist for Wal-Mart and is the pharmacy manager at the McDonough Super Center. Judge Fears and Joyce have been married for 24 years and have two children. Mr. Dawson is the Director of the Towaliga Accountability Courts. He is a native of Lamar County and has served over 21 years in public safety. He began his career as a Fire Fighter/EMT in 1996. He continued serving in this capacity for 15 years climbing through the ranks to Lieutenant/Paramedic. In year 2007 he crossed over into law enforcement. He has served in the surrounding counties and most recently worked for the Lamar County Sheriff's Office as Patrol Sergeant where he has served a total of 4 years. He currently maintains his law enforcement certification through local agencies. He began his employment with the Towaliga Accountability Courts as a security officer over 4 years ago and has now moved on to serve as the Director. Mr. Dawson attends High Falls Baptist Church with his wife and enjoys farming and gardening.